The first, and most common medical condition treatable by Xarelto (according to their marketing) is a serious condition known as atrial fibrillation (Afib). Afib, as you may have heard Saturday Night Live alum or legendary golfer Arnold Palmer tell you on the seemingly nonstop barrage of Xarelto commercials, is an irregular heartbeat not caused by a heart valve defect. This medical condition can cause blood clots to form in a patient, and these clots can travel though the circulatory system and into the lungs. If they enter the lungs, they can puncture the tissue causing the lungs to fill with blood. This is an often-deadly complication of the clotting disorder known as a pulmonary embolism, or PE as it often called. The clots can also reach the brain, where they can block the flow of oxygen-rich blood, which can cause a stroke.There is also a chance that clots will form in the deep veins of the patient’s legs, known as deep vein thrombosis (DVT). This can occur whether or not the patient suffers from Afib. These clots can also travel to the lungs and brain, causing serious or fatal consequences similar to that of the clots caused by Afib. It is for this reason that a patient with one of these two medical conditions needs some type of blood clotting agent or anti-clotting agent. The standard for many years was Warfarin (Coumadin). Coumadin is a blood thinning medication that is relatively safe, but the dosage must be monitored closely. A patient must have routine blood tests to make sure the dose is correct, and the patient must also watch his or her diet to make sure they avoid certain vegetables high in vitamin K, like leafy greens. These vegetables that contain high levels of potassium can act as a reversal agent to the Warfarin, making it ineffective. This actually brings us to the danger associated with Warfarin. If the dosage is off, the patient can have a serious internal bleeding disorder, but this can avoided by watching a patient’s diet and also by having the routine blood tests. If a patient starts to suffer from an internal bleeding disorder and goes to a doctor or the emergency department of a hospital, they can administer potassium that will work as an antidote. As our Boston Xarelto injury lawyers can explain, the Bayer AG and Johnson & Johnson told the FDA that their new type of NOAC did not need constant monitoring, because one dose was good for all patients. However, this could not be farther from the truth, as many patients who are taking Xarelto started to experience serious internal bleeding disorders, including intracranial bleeding. Unlike with Warfarin, there were no routine blood tests, and there were no other risk factors. Patients were simply fine one day and dying the next. To make matters worse, when they would show up at an emergency room, there was nothing much doctors could do, because there was no reversal agent for Xarelto, and many patients died. This alarming trend led to the filing of numerous products liability actions around the country including in Boston, in which plaintiffs argued and presented evidence that the company did not do sufficient testing and used equipment that was not proper during safety tests. This is the reason for the allegations that makers of Xarelto knew or should have known they manufactured a dangerous and defective drug and did not warn the FDA, doctors, or patients. It is one thing for a patient to give his or her informed consent after being fully informed of all the risks and possible benefits, as this is where the informed part of the consent comes from. If, on the other hand, a drug maker fails to warn a patient of a known danger, then there is no way for the patient to give his or her informed consent. Another type of claim that can be filed in a Boston Xarelto case is that defendants negligently manufactured a dangerous or defective drug. Despite the fact that there are clearly major safety issues with Xarelto and its classmates, there is a lot of money to be made with these NAOCs, so it does not appear that they will be going away any time soon. In fact, the companies are trying to get the drug approved for additional medical conditions to capture a larger share of a multi-billion-dollar market. According to a recent news article from MedPage Today, the pharmaceutical company has applied for and has been granted what is considered a priority review to use Xaretlo in low doses for certain patients. This approval they are seeking is to use a 10 milligram dose of Xarelto on patients who have already had six months of standard anti-coagulation therapy. This is done through the use of a supplemental New Drug Application (sNDA). 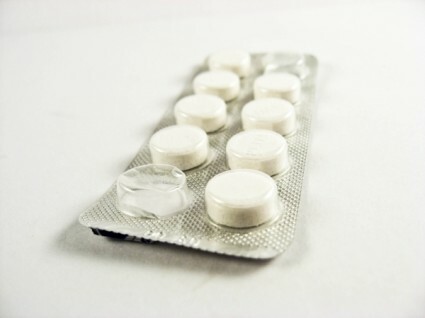 Taking the lower dose is supposed to reduce the risks of venous thromboembolism (VTE). This is normally where doctors put their patients on a low dose aspirin, but the drug company knows there would be a great deal of profit to be made if they could move patients from generic aspirin to brand name low dose Xarelto. The make of Xarelto is Bayer, which developed aspirin but did not properly secure the rights, so it quickly became a generic medication using the intended brand name. Any evidence that this can work as well as aspirin or better comes from a single clinical trial called Einstein Choice (n=3,365) that was developed by the drug company that makes Xarelto. There are no other clinical trials that show similar results. Their study claims there is a similar risk of internal bleeding to aspirin, but the Xarelto low dose works better. This is the only time treatment that is not a non-vitamin K antagonist is being use as blood thinning agent or oral anticoagulant for these types of patients.